The entrance fee to Yosemite NP is $20 per car and includes all occupants of the car. Permit is valid for unlimited entries to the park for 7 days. Because during this week it will be visited at least 4 national parks the best deal is to buy Annual Pass. It cost $80 for all National parks and you can buy it before your trip online. Yosemite National Park is huge. The area of the park is ~3100 square km (~1200 square miles) with over 1200 kilometers (750 miles) of trail. 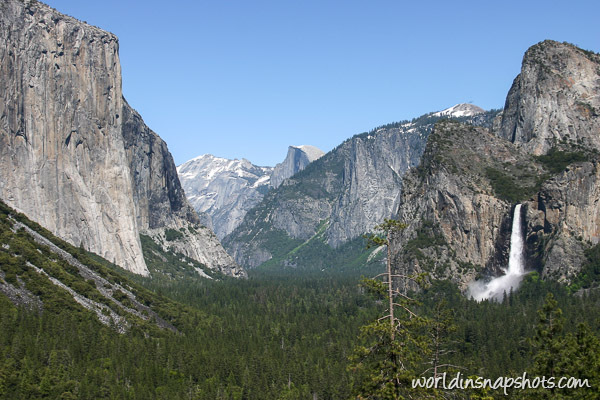 Yosemite Valley is the best place to go for day visitor. Surrounded by up to 1.5 km (5,000 feet) rocks the valley itself is very flat and it is possible to take some short hikes without proper hiking boots. May is the best month to watch water falls then snow melts in the mountains. You won’t see so much water in August as you can see in above photo. Next stop is at Sequoia National Park (entry fee is $20 if you didn’t buy Annual Pass). 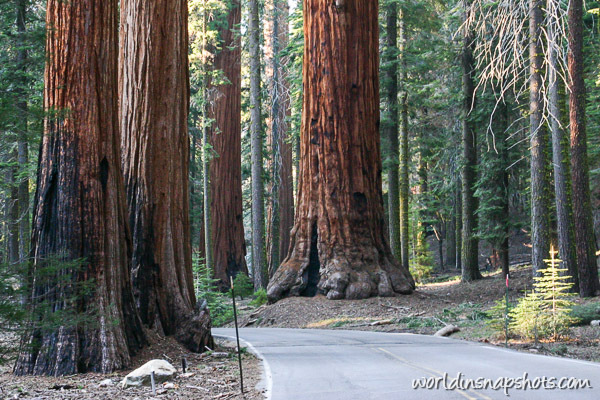 Park is 300 km (190 miles) and 4 hours driving away from Yosemite Valley, but you must to see those giant trees and largest is the General Sherman Tree. The tree is 84 meters (275 feet) height and estimated 2300-2700 years old and is called the largest living thing on the Earth. The tunnel log located not far from the General Sherman Tree will let you feel even more how big these trees are as you can drive with your car through that tunnel. 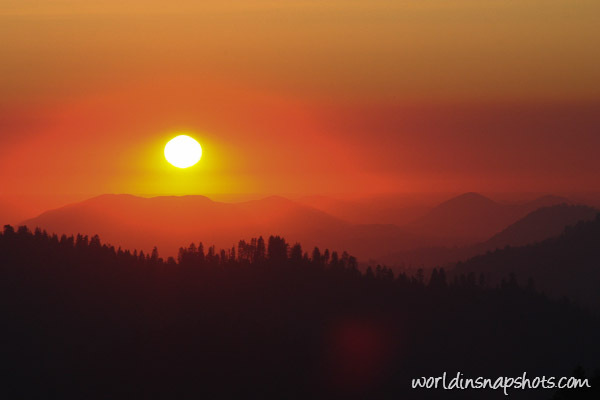 It will be later evening by the time you reach this tunnel and the close by Mono Rock is the best place for sunset viewing – with sun going down in the west and moon rising above Great Western Divide in the east . A view is fantastic and at least during my visit it wasn’t many people there at night so maybe you can enjoy that view only by yourselves. Sun goes down and it is time to look for overnight stay. Bakersfield is largest town on the way. There are plenty of motels there, so I think it is best place to spend a night before heading to Death Valley tomorrow.